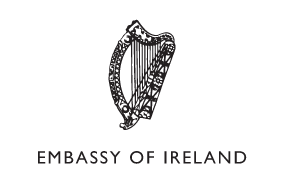 The Embassy of Ireland manages all aspects of Ireland's relationship with Nigeria, with non-resident accreditations to Ghana, Senegal and ECOWAS. Ireland is a major donor to the humanitarian crisis in the Lake Chad Region affecting Nigeria, Niger, Cameroon and Chad. The Embassy wishes to recruit a humanitarian development officer to support, inform and shape the Embassy's humanitarian work. The position requires a deep knowledge of the region and humanitarian work, a high degree of professionalism, third level education, good oral and written communication in English and French, good organisational skills, and the ability to be flexible as demands and priorities change. Liaise directly with the HQ on funding options and ensure that programmes are carried out in line with Ireland's Humanitarian Assistance Policy and within the terms agreed when financing was provided. This may include contact with Irish posted staff on Rapid Response duty. Advise diplomatic staff on developments with a view to maintaining a high profile for the Embassy on humanitarian issues. Within Nigeria, prepare briefs for visits to State level for the HOM/DHOM and liaise with Federal and State government officers on a work programmes for the visits. Monitor the level and source of international funding, highlight key successes and challenges and identify lessons which can be used to inform Ireland's future support in Nigeria and the region. Liaise regularly with the Nigeria UN Humanitarian Country Team and with OCHA in-country. Act as liaison for Ireland with the Nigeria Humanitarian Pooled Fund. Support preparations for high level visits from Ireland to view Irish-supported humanitarian programmes. Prepare occasional papers on development and humanitarian subjects as requested by the HOM or colleagues in HQ. Good representational, networking and influencing skills. Experience working in an International Organisation, Diplomatic Mission or other International Environment. The Department of Foreign Affairs and Trade is committed to a policy of equal opportunity. It is important to note that canvassing will automatically disqualify applicants. Completed applications will be acknowledged. Only short listed applicants will be contacted. By submitting information electronically, parties accept that data may not be fully secure. Parties may alternatively send their submissions by post to: (insert postal address Any personal information submitted to us will only be used for its intended purposes and will be destroyed when no longer needed. Any other processing or disclosure of personal data is not allowed other than in the exceptional circumstances provided for under the Data Protection Acts. Interested and qualified candidates should Email: humanitarianvacancyabuja@dfa.ie to receive the candidate booklet; and Follow the instructions in the candidate booklet, emailing the necessary documents to the address provided.